The Defense Department, NASA and the General Services Administration have introduced a rule that seeks to require agencies to include in solicitations for multiple-award indefinite-delivery/indefinite–quantity contracts the ombudsman’s contact information. The agencies proposed the regulation as an amendment to the Federal Acquisition Regulation in an effort to establish a "standardized way to provide the necessary information to contractors with a single contract clause for use by all agencies," according to a Federal Register notice posted Thursday. Army Futures Command has established a new organization that will help companies navigate their way through the defense acquisition process, National Defense Magazine reported Tuesday. The Federal Acquisition Service and Internal Revenue Service are looking into modernizing their technical assets to modify and streamline their contracting processes, Federal News Network reported Monday. Avi Bender, director of the Commerce Department’s National Technical Information Service, told FedScoop in an interview published Monday that the federal government should identify innovative approaches to shared services implementation and consider additional procurement instruments that are suitable for data management. “Data management is an ongoing innovation effort that requires continuous and iterative learning, continuous agility and discovery of new opportunities,” he said. The General Services Administration plans to implement robotic process automation at the agency to improve operational efficiency and reduce costs, FedScoop reported Tuesday. GSA Administrator Emily Murphy, a 2018 Wash 100 awardee, described the initiative during the 2018 Imagine Nation ELC conference, noting that the adoption of RPA is meant to supplement the agency's data-driven efficiency efforts that resulted in $900M worth of savings in fiscal year 2017. The Defense Department, NASA and the General Services Administration have released a final rule that seeks to revise the instructions for System for Award Management registration. 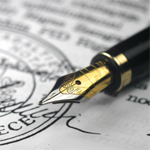 A Federal Register notice posted Wednesday says the final rule is set to take effect on Oct. 26 and amends the Federal Acquisition Regulation to require vendors to register through SAM prior to bid submission. Soraya Correa, chief procurement officer at the Department of Homeland Security, told Federal News Radio in an interview published Tuesday how DHS' procurement innovation lab helps personnel and other agencies streamline the acquisition process through the boot camp. “People walk out of the course not only understanding what our innovative techniques are, but encouraged and motivated to go out and innovative and be innovative in the constructs of the Federal Acquisition Regulations,” Correa said of PIL’s boot camp. 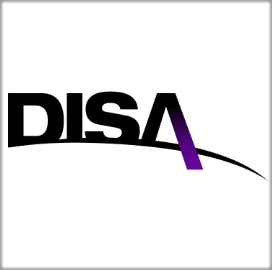 The Defense Department, the General Services Administration and NASA have started seeking comments on a proposal to develop a standard method of collecting voluntary feedback from government contractors regarding contracts and solicitations. 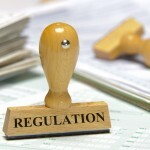 They said in a Federal Register notice posted July 26 that voluntary comments on industry standards, alternative regulatory approaches and legal definitions for other areas of deals, among other things, would provide more substance in modifying the contracting process.